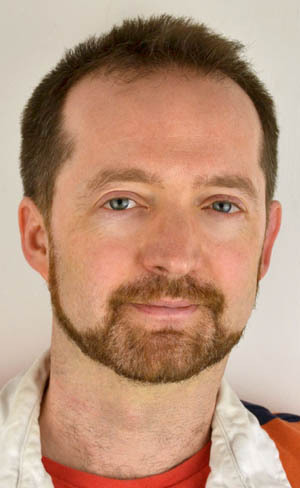 Andy McDermott is the international bestselling author of the Nina Wilde/Eddie Chase series of adventure thrillers, the first of which, THE HUNT FOR ATLANTIS, became a New York Times bestseller on its September 2009 publication in the United States. He is currently working on his twelfth novel. Born in Halifax, England, and a graduate of Keele University, Andy now lives in Bournemouth, where he works as a full-time writer. Previously, he was an entertainment journalist and the editor of such magazines as DVD Review and the iconoclastic film publication Hotdog, where his lifelong love of movies (and vast knowledge of movie trivia) finally became a useful job skill. He has also worked as a cartoonist, graphic designer and videogame reviewer, and written for the award-winning British sci-fi comic2000AD. “What’s the connection between a dig in Alexandria for Alexander the Great’s tomb and a wanted Nazi war criminal? Nina and Eddie about to find out as they go on a search across the globe, from Egypt to Argentina and Italy to Iran, to find the truth. They have located the most exciting archaeological treasures the world has ever known – they have found Atlantis and walked in the Garden of Eden, they have wielded Excalibur and seen the vast sums of gold in El Dorado. Could they now be about to find the greatest prize of all – the secret to eternal life? I’ve always been a little astounded by the books from Andy McDermott, first that he could write so fast, these are not small books, but look at his track record, his first six books were published in three years, in 7 years Eleven novels (Stunning). Each and every book has been a epic thrill ride, worthy of any Hollywood studio / film writer. Which brings me to my amazement that none of these books have been made into a big budget film. 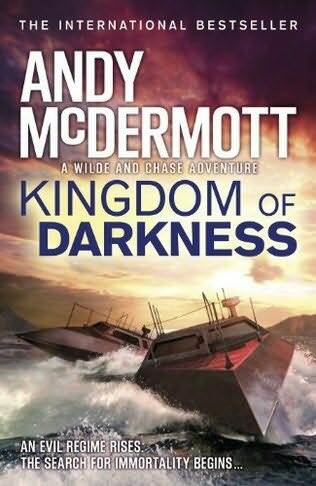 So Kingdom of Darkness, probably the least OTT of the series, but this is a series you read for the wild thrill ride, not plausibility. That said its also well researched, down to some very fine detail (both the modern and the historical) and always remains just within the bounds of possible. This time, throw in Nazis’s, Alexander the Great and a secret to eternal life and you have an absolute winner. With any great thriller, to talk to much about the plot is a spoiler, and same about the back story. Needless to say for those who read this series Eddie Chase is his usual puntastic self, Nina gets them into the thick of trouble with her single minded pursuit of legend and along the way there will be wild chases, explosions, bullets galore and twists and turns so mind bendingly good you will be guessing all the way to the end. In summary: An excellent thriller, exhausting, Laugh out loud funny and gobsmackingly heartbreaking. If you like high octane thrillers then you CANNOT miss this book.